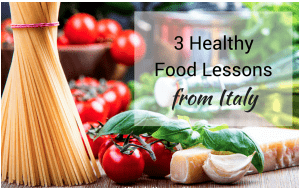 The Italian diet is comprised of meals that are satisfying and delicious, but that are also surprisingly different from the way we most often think of Italian food. Commonly referred to as the Mediterranean diet, it centers on foods that are rich in nutrients, promote brain health and help fight heart disease. The good news for seniors and caregivers: it’s possible to prepare delicious, heart-healthy Italian meals quickly and often quite simply.